When it comes time for me to make my bread and butter with hybrid photography, my tool, up to this point, has been the GH3. I love this camera - it’s small, weather resistant, fast, and the image quality is spectacular. Everything about it is great. Because I shoot a lot of video and blend my video with stills into hybrid projects, I would really like higher quality video. Luckily, the new Lumix GH4 offers 4K video as well as spectacular image quality. 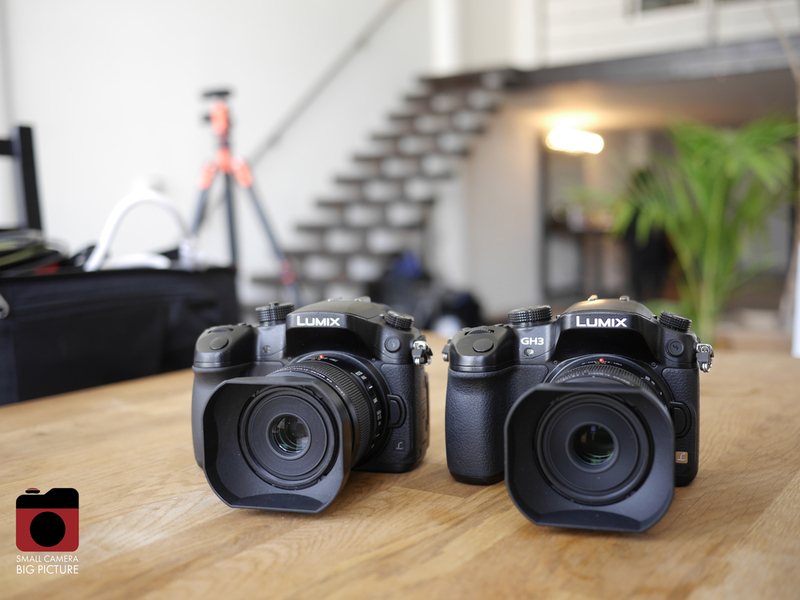 If you have the GH3, or if you have another Lumix camera, shooting with the GH4 is going to be very straight forward. When you have it in your hands it you know you're holding something that is designed for a working photographer. As you can tell, the GH4 is very similar to the GH3. The nice thing about them being so similar is the batteries are the same, the chargers are the same, and all of your accessories for the GH3 will work with the GH4. The one exception is the new GH4 has a micro HDMI port, instead of the mini HDMI port. The main difference, of course, is going to be the 4K video. 4K video has to be the coolest feature of the GH4. And it's a feature that benefits still photographers, film makers, videographers, and hybrid photographers such as myself. We are shooting 1080 x 1920 with the GH3 which is roughly a little less than 2K video - every frame of video is roughly 2 megapixels. Now we’re looking at almost 9 mega pixels per frame. Which means if you take good quality video, which is very easy with the GH4, you can pull stills in lightroom. That is the coolest advancement I’ve seen in a camera like this in a long time. Also, being able to shoot very high quality slow motion video is very handy when shooting animated portraits. Stuff like uncompressed video out at 422 is nice, being able to design your own auto focus regions on your screen is also awesome, and extremely fast autofocus with continuous face detection is also handy. There are a ton of other features in this camera that we will be digging into as soon as I get the final version, hopefully soon.